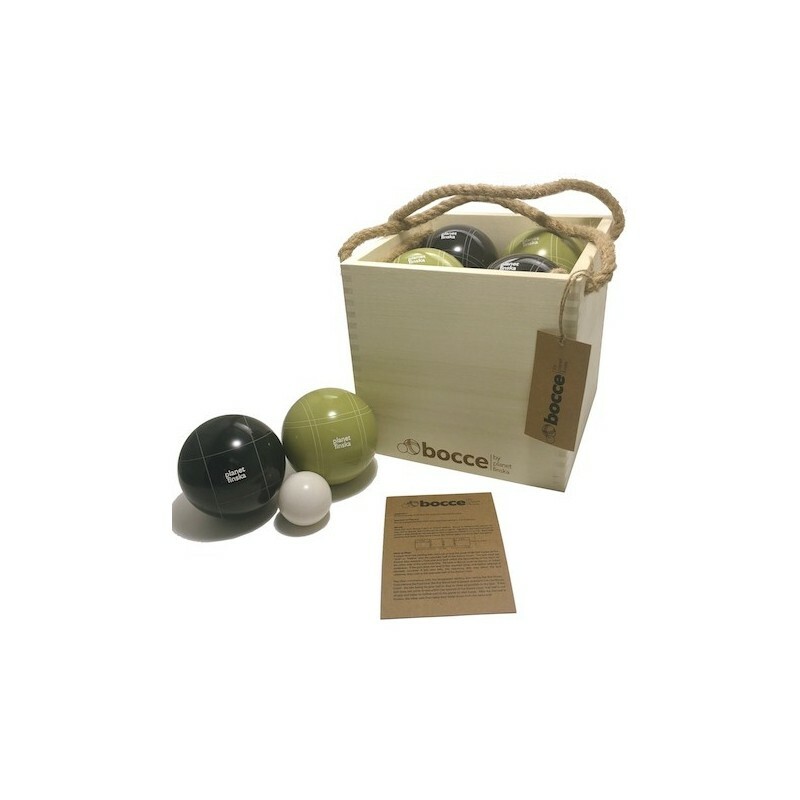 This beautiful bocce set comes in a handy wooden crate with eight full-sized bocce balls in black and olive and a white pallino ball. 2-4 players. Buying this product = 104 Reward points for Members. Your cart will total 104 points = voucher of $5.20. Not a Member? Join at checkout to claim these points. 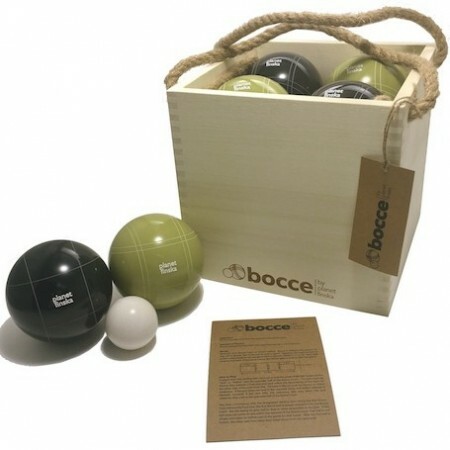 Bocce balls are crafted from high quality polished resin. 4x olive and 4x black and 1x small white pallino ball. The aim of the game is to land your ball as near as you can to the smaller sized pallino. Comes packaged in a wooden crate for easy transportation and storage. Bocce balls: 100mm / Pallino ball: 50mm. Freight surcharge: please note that shipments of large/heavy Planet Finska items to all areas of WA, NT & TAS and some areas of SA, VIC, NSW & QLD may incur an additional freight charge. If applicable, we will check this with you before despatch.